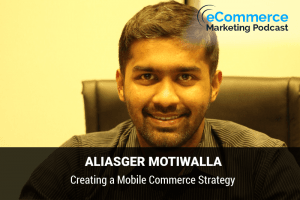 eCommerce Marketing Podcast - Page 4 of 15 - Marketing experts reveal top strategies to grow your store. Nemo is a Part-time marketing mentor at 500 Startups. Full-time CEO of a digital products company and host of FBA Allstars eCommerce podcast. 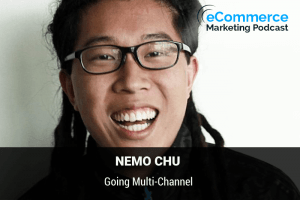 In this episode Nemo shares how typical eCommerce business can start selling across multiple channels that include Amazon, Walmart, ebay and other eCommerce marketplaces. His insightful advice explains how you should get started and become successful. 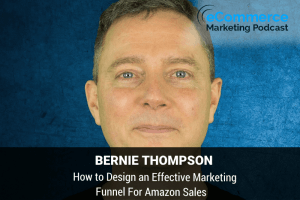 Bernie runs an 8-figure electronics brand, founded the eCommerce tools company Efficient Era, and is the author of the book Flywheels and Feedback Loops: A Guide to Success for Private Label Sellers. When he’s not running his businesses, you can usually find him on top of a mountain near Seattle, WA. 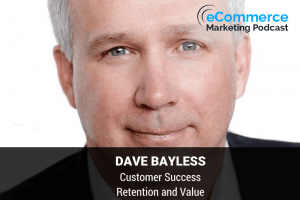 Dave Bayless is a co-founder of Human Scale Business, a strategy consulting firm that helps founders of growing companies that make original products sold online. HSB uses visual modeling techniques to help founders develop a better understanding of the interactions among their product mix, marketing channels, supply chain, and cash flow so they can make better decisions about their businesses. Andy is the head of marketing for KeySmart, one of Shopify’s largest stores. Before KeySmart, Andy managed advertising as a consultant for ad agencies, apps, and other ecommerce stores. He has advertised all kinds of products and services including $10,000 business courses at the University of Chicago and $1 million condos in Australia. 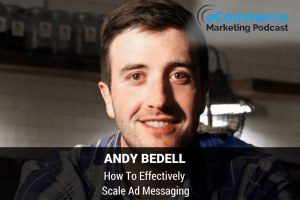 The biggest lesson Andy has learned over the years is that marketing is all about uncovering why your product or service is useful. Welcome to the e-commerce marketing podcast everyone. 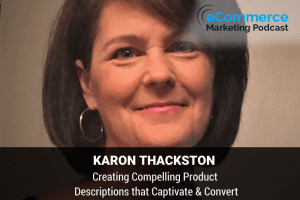 I am your host Arlen Robinson and today I’m very excited for our special guest Karon Thackston who is president of Marketing Words a full-service copywriting and content agency that helps businesses convert better, sell more and build a better business since 1999. Welcome back to the eCommerce Marketing Podcast everyone. I am your host Arlen Robinson and today we have a very special guest Liam Martin who is the co-founder and CMO of TimeDoctor.com and Staff.com. 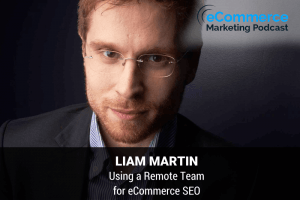 After working with remote employees for over 10 years, Liam works on furthering outsourcing and is passionate about how to gain insights into the inner workings of how people work. Welcome back to the e-commerce marketing podcast everyone. I am your host Arlen Robinson. And today. We have a very special guest with us, Ali Motiwalla. Ali has over 8 years of experience across startups and multinational businesses in SaaS and cloud products – e-commerce & mobile, consumer internet, digital media and other technology products & services. Welcome everyone to the e-commerce marketing podcast. I am your host Arlen Robinson. 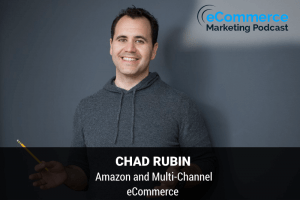 And today we have a very special guest Chad Rubin (Ecommerce Renegade) who builds e-commerce businesses. Fresh out of college and Wall Street, he took his family vacuum business online and built his own direct to consumer e-commerce business called Crucial Vacuum.